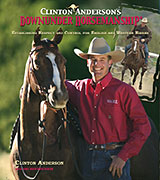 Ami is the writer and editor of various major publications for the horse industry. She has produced projects for the United States Hunter Jumper Association (USHJA) and the United States Polo Association (USPA). 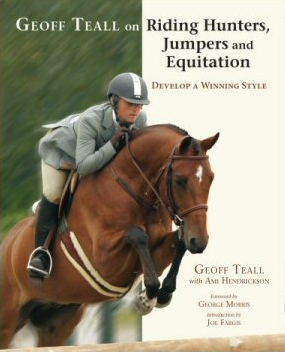 Books she has been involved in creating include Clinton Anderson's Downunder Horsemanship; Geoff Teall on Riding Hunters, Jumpers, and Equitation; and The Rider's Pain-Free Back, which was named by American Horse Publications as one of their "Top 3 Books of the Year." A tireless mentor and cheerleader, Ami has helped scores of writers from 13-year-olds to septuagenarians get their first byline. She especially enjoys speaking to writers and conducting writing workshops. She graduated with distinction from Andrews University and holds degrees in English and Education. Ami's parents read to her before she was born. She credits them for her lifelong love of reading, while absolving them of blame for any book she may read or write. Writers who have influenced her include J.R.R. Tolkien, J.K. Rowling, C.S. Lewis, and F. Scott Fitzgerald. She adores the humor and warmth of Douglas Adams and Kiran Desai, the wordplay of Lin-Manuel Miranda, and the structural mastery of Paul Abbott. 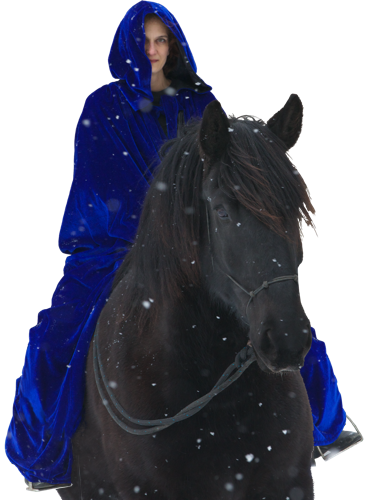 She reveres all things Sir Terry Pratchett, who was, and will always be, in a class by himself. Ami and her family live with their "vast menagerie" on a 100+ year-old farm in Southwest Michigan. She fuels her muse with a steady stream of coffee and Earl Grey tea. She has a longstanding love affair with all kinds of chocolate, which is occasionally overshadowed by a passionate obsession with cinnamon red-hots. In 2016, she lost the love of her life - "WunderGuy," her biggest fan and best friend - to brain cancer. She misses him every day. Talk to Ami on Twitter @Museinks about everything from animals and astronomy, from archaeology to anagrams. "Ami’s talent and professionalism was an invaluable asset to the creation of the USHJA Trainer Certification Program Manual. Working with Ami helped our committee and staff produce an accurate, educational and easy to use manual." "One of the better days of my life was when Trafalgar Square assigned Ami Hendrickson to work with me on my book. Ami made the somewhat dry science of my subject come alive and become readable. We really had fun putting the book together, something that I had dreaded before, and her ideas were always on. People enter the sciences for various reasons, one of which is that you don’t have to do any creative writing! That’s why my book required that I team up with someone who does it. I would have been lost without her, and the knowlege that went into the book would have remained unpublished and probably lost forever." "Ami Hendrickson has been an outstanding asset for me as a writing muse, editor and story consultant. She consistently gives a fresh view and an alternative perspective, greatly enhancing the works I have put before her. Her in–depth analysis strengthens and improves my writing, while her sense of humor and effervescent personality make her an absolute pleasure during collaboration. I wouldn’t dream of submitting anything to a producer without her prior review and seal of approval." 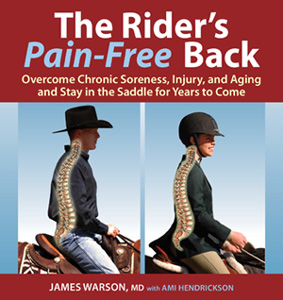 "I had the great pleasure of working with Ami Hendrickson on my book. She is without question one of the brightest and most professional people I have had the pleasure to work with. Her supreme intelligence combined with her quick wit make an incredible combination. The quality of the work was top of the line, and the experience was fun at the same time. Any commitments Ami made were made on time at the latest. I would look forward to working with her on any project." "When Trafalgar Square Publishing signed on Clinton Anderson to do a book, little did we know we’d discover a fine writer and editor in the process! Ami was Clinton’s choice as co–author for his book. When the project was complete… we quickly recognized the quality of Ami’s work. Now, she is working on a number of other books with Trafalgar Square with more to come in the future. If you are looking for a skillful writer and good thinker, who is straightforward and on time, Ami is your woman." "Thank you, Ami Hendrickson, for all your hard work and dedication. You put a lot of heart and soul into my book project, and it shows." "My husband Steve and I first asked Ami to help us develop a Bio for our business. She did such a wonderful job we asked her if she would be willing to be a part of our team. We needed help in creating our corporate vision, market positioning, defining characteristics, and much more. We knew we needed help, but didn’t know what to do. Ami spent time with us one on one and put us through some soul searching exercises. We learned so much about ourselves, our business, and each other in the week that she spent with us. We now have a very clear vision of who we are, what we want, and how we can help others in our business. We received so much more than this, but it would take a book to write everything. We highly recommend Ami Hendrickson to anyone needing help with their vision, marketing, goals, writing, editing, etc… It has changed our lives and our business for the better and we will forever be thankful." "Your script observations made PERFECT sense. You really have a gift for finding the diamond in the rough and getting rid of all that carbon crap! Anyway, you helped me enormously and I just wanted to let you know." "I wanted to thank you very much for your motivational, honest, and entertaining workshops. I have to admit that I was skeptical about whether or not I could apply your genre experience with what I write (children’s books), but I learned so much that I know I can apply a lot to what I do. I am so glad I made the drive from Bridgman each week to see you! Thanks again!" Middle-Grade and Young Adult Writer. Author of Am I Like My Daddy?, and of the Be the Vet and Evie and the Volunteers book series.